Br. Frassati Davis, O.P., serves at the Northwest Pregnancy Center. For over 20 years, the Dominican House of Studies has assigned student brothers to the Northwest Center, a Washington, DC, pregnancy center that “seeks to promote the dignity of women and a respect for all human life” in accordance with Catholic teaching. Br. 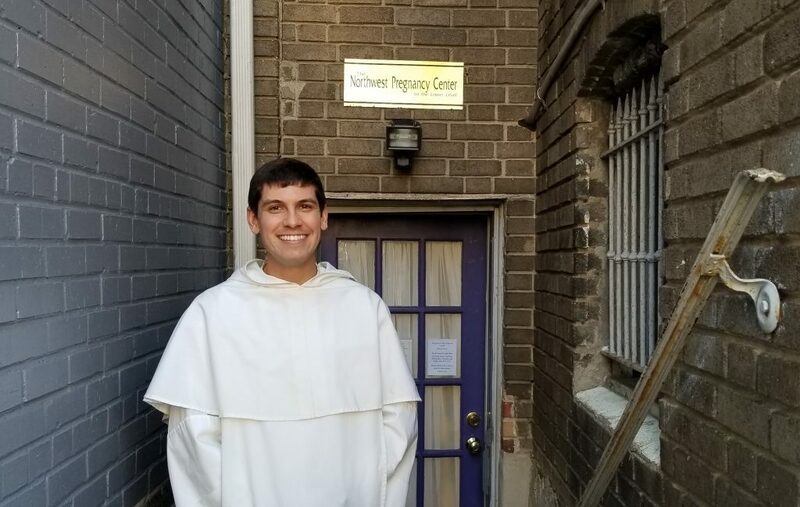 Frassati Davis is currently on assignment at the Northwest Center as he studies for the priesthood and practices Spanish. “It is humbling to be in a ministry where I’m asked to take a step back, to listen, and specifically to listen in another language. The universal need of these women is a problem that’s never going to go away,” says Br. Frassati, whose role includes taking notes at client appointments, handing out supplies to mothers with infants, and praying for expectant and new mothers. Br. Frassati DavisCatholicDominican OrderMinistryNorthwest CenterOrder of PreachersPro LifeStudent BrothersWashington D.C.